Join the Digital Currency community of the Netherlands for a New Year’s celebration starting at 1845 on 7 January 2015. 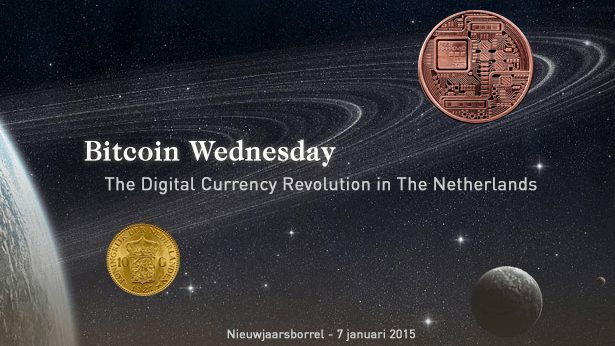 This event will be the first Bitcoin Wednesday of 2015. Sign up now at Meetup.com to reserve your place. 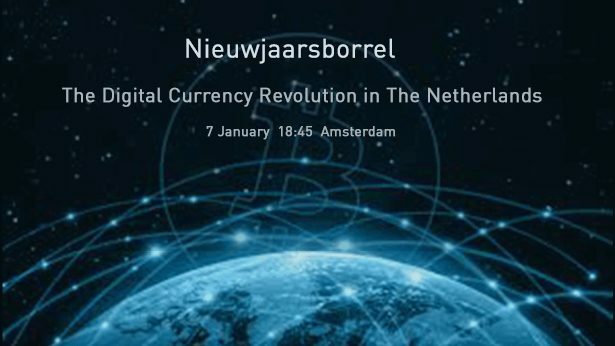 Bitcoin Wednesday reconvenes in 2015 with a nieuwjaarsborrel on 7 January: an evening of networking, drinking and thought-provoking presentations about the digital currency revolution. 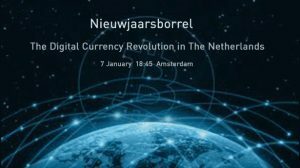 What makes Amsterdam and The Netherlands one of the leading places in the world for digital currencies? Diversity, knowledge, community and capital are some of the key ingredients, and these will be in good supply on 7 January. * A hardware wallet on a USB. * “Why would I invest in your cryptocurrency startup.” Early stage investor Maurice Beckand Verwee of the Crosspring Incubator will talk about his investor’s view of the Dutch digital currency startup scene. * Getting traction for your own coin by one of the most popular alts in the Netherlands. * Bitcoin in a Mobile Chat App: Demo and presentation of SendChat by Alejandro de Torre. * They’ve already reached a market cap of $17 million: The NXT Team gives us a close look at their leading NXT Bitcoin 2.0 Platform.